There was a time when Mainers drank cider: more than coffee, more than milk, more than Allen’s Coffee Brandy, sometimes more than water. And this was the hard stuff, not the cloying fresh juice we call “cider” now. Sometimes fizzy, sometimes tart, sometimes bitter, sometimes sweet, the one thing cider always was, was fermented, meaning: alcoholic. Early American colonists planted apples from English seeds (some sources trace the year to 1623), and were soon pressing cider. The drink was relatively cheap to make and easy to produce, but in addition, for the several hundred years before refrigeration and filtration came along, it was a safe choice—often more sanitary than water, or at least perceived that way. And that’s one of the interesting, understated things about hard cider: it is—or at least can be—complex, a reflection of the huge varieties of fruit and yeasts (wild or added) that may go into it, as well as its particular conditions of fermentation. A hard cider’s nuances can be appreciated like a fine wine or coffee, and particularly when drinking a locally produced batch, the drink can offer—to borrow a term from viticulture—an experience of terroir. 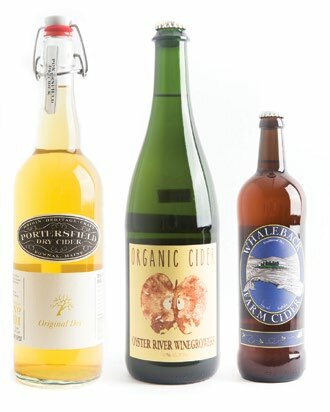 “One of the beauties of cider is its natural pairing with a wide range of foods,” says David Buchanan of Portersfield Cider in Pownal. “Full-bodied, tannic ciders in particular go best with a meal. If you love Maine food, this is your native drink.” So why did Maineʼs native drink disappear? And who is driving its comeback? Nationally, cider is on track to be a billion dollar industry in the next few years, the fastest- growing segment of the beverage market. According to the Chicago-based market research firm IRI, cider sales ballooned 75.4 percent to $366 million between November 2013 and 2014 and signs point to exponential increase. 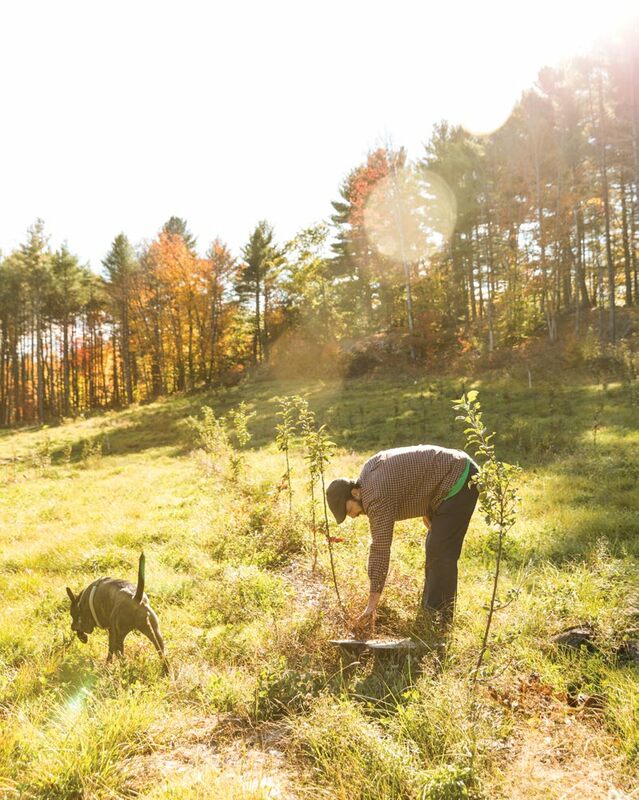 Across Maine, thousands of new trees are being set out, and a vibrant agricultural sector is emerging. Cider, largely abandoned as a commercial product in the 1830s, is resurging; and that means that old apple varieties used for cider are being replanted in numbers not seen in over a century. The story of cider in Maine is the story of agriculture in Maine, a microcosm of larger shifts. From the time of the first European settlers here, apples were standard fare on subsistence farms: just about everyone outside of cities planted apples from the 1600s into the early 1900s. Before the American Revolution, cider apples were not just used for drink, but apple cider vinegar (an essential for food preservation), apple syrup or molasses (both terms for a boiled-down fresh cider used as a sweetener in a time when sugar was hard to come by), and as livestock feed. By the early 1700s, annual cider production in New England topped 300,000 gallons and records for Massachusetts show that by the middle of that century, the state’s average resident was drinking 35 gallons of cider per year. 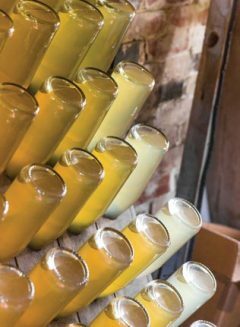 Cider was such a staple that by America’s founding in 1776, one out of every ten farms in New England ran its own cider mill, often a gathering place for the surrounding community. The home production of cider and the local trade and barter economies around it were part of the everyday fabric of life in rural Maine. Going “down to cellar” with your neighbor to drink their cider and catch up on local goings-on was a ritual that survived well into the 1970s in some parts of the state. This is an important detail both because trees planted from seed tend to produce small, astringent apples (well suited for cider, less well suited for fresh eating), and because if you plant a seed from a McIntosh expecting a McIntosh you’ll be disappointed. The resulting tree is unlikely to yield tart, red and green fruit with white flesh that’s ripe in September. Instead, the profile of the new tree and the fruit it bears will represent a variety of traits picked up from untold generations of parent trees that have cross-pollinated; perhaps some characteristics of McIntosh will come through, but more likely not. From seed, every apple tree is new and unique. The way to replicate a McIntosh is by grafting a small portion of an existing tree onto the appropriate rootstock for your needs. What Bunker is getting at is that starting in the late 1700s, American farmers essentially became apple breeders. As they were doing with all crops grown from seed— whether squash or corn or beans—farmers were making choices and selections about what they wanted and needed from their apple trees and began propagating to that standard while still pressing seedling apples (again, each unique) for cider. But that’s the story of agriculture writ large. Commercial cider production hit its peak between the 1770s and 1830s. There is no singular cause of its ensuing decline, but a concatenation of events from social reform movements to shifting demographics and later, regulatory factors, suppressed the commercial production of cider and relegated local producers to private cellars. Some of these events proved more directly damaging than others. The collapse of the cider industry, particularly in Maine, seems closely associated with the growth of the temperance movements of the 1820s and 1830s. As the home state of Neal Dow—known interchangeably as The Napoleon of Temperance and The Father of Prohibition—Maine was an epicenter of anti-alcohol social reform, and the first “dry” state. The message from some preachers was that by growing apples and selling cider, farmers were contributing to the downfall of their fellow man. In response, some of the more zealous farmers in New England took torches and axes to their own orchards and—on occasion—those of their neighbors. Economic and demographic shifts in the 1800s, along with the maturation of agriculture in Maine and the abundance of apples bred not just for cider, but fresh eating, preservation, and shipping, led to an explosion of diversity as local farmers began growing hundreds of new varieties; some they discovered and named themselves, while others they chose from nursery catalogs or itinerant salesmen who travelled the countryside promoting their stock like Johnny Appleseed (who was in fact largely growing cider apples from seed). By 1845, Andrew Jackson Downing and Charles Downing’s classic book, The Fruits and Fruit Trees of America, listed close to 1,100 different named apples that had originated in America (about ⅐th of all known apple cultivars). Around 150 of these varieties likely came from Maine. At the same time, the diversity of America’s people increased. Waves of immigrants from grape-growing and ale-loving countries in Europe brought new pro-clivities and knowledge, which had an effect not just on the market for alcohol, but farming as well. Maine was sending ships across the pond too: By the late 1800s, the state was renowned as an exporter of high-quality apples for the British market. Maine shipped from 1.5 to 2.5 million barrels a year to Liverpool and other British ports, keeping local apple farmers busy even as the demand for cider declined at home. As the 20th century approached, orchards in-creasingly morphed from seedling apples used for ci-der to a more diverse mix of “choice kinds” of fancier fruit, ideal for different uses such as eating, baking, storing, and drying. In Bar Harbor, then known as Eden, the local fair gave premium prizes for dozens of these varieties (some now lost) with evocative names like Sweet Russet, Bell’s Early, White Beauty, Maiden Blush, Winter Banana, and Fameuse. These and likely a thousand others blossomed across the home orchards and farmscapes of Maine. While cider mills persisted in rural areas, they lost their prominence as hubs of commercial pro-duction while the beer, rum, and whiskey industries ramped up in America’s cities. Although Prohibition came a century after cider’s fall from favor began, it all but ensured the end of cider orchards. And with-out the apples, there would be no cider resurgence. Prohibition lasted from 1920–33 and was capped off by the frigid, damaging winter of 1933–34, a coup de grâce to orchards that had escaped the second wave of anti-alcohol ax-wielders and torch-bearers. Apples are not an ideal crop for a quick rebound, unlike the barley that fueled the beermakers’ swift return to market. Another disadvantage for cider was that grains are cheaper and simpler to ship and store than fruit. Not to mention that the beer and liquor makers in America’s cities had an easier pivot to soda or complementary products during the 1920s, when most of the remaining cider mills simply shut down. When Prohibition ended, beer and liquor were quick-ly back online. Of course, soda itself filled the niche of a sweet, effervescent, and stimulating tonic—once part of hard cider’s domain—in the marketplace. And the industrialists supported this switch: better to have workers pepped up by Coca-Cola than drunk on cider. 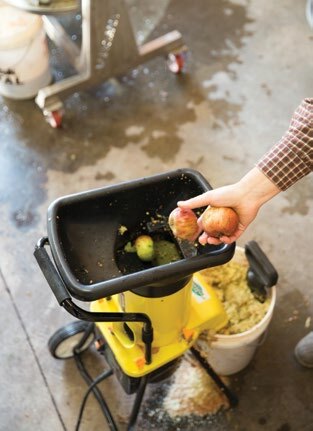 In a single generation, commercial cidermaking all but disappeared, and the practice of pressing cider was relegated to local markets and home producers in rural locales. 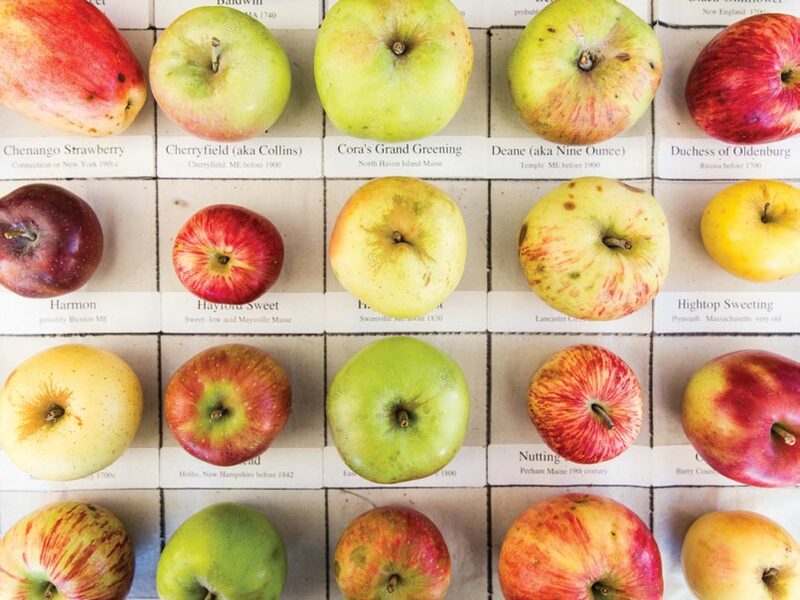 “lost” apple varieties. 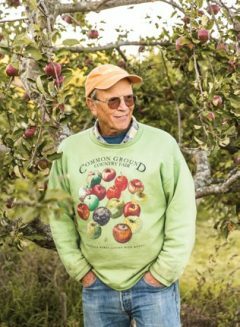 He was interested in apples as a route to a living wage for farmers, as part of a vision for a new agricultural economy in Maine. Through the ’70s and ’80s, as Bunker traveled the state from his home base in Palermo, he not only learned about apples at the local level, but the cur-rent state of the larger apple market. “Back then,” Bunker says, “I would go to commercial orchards and they would tell me about the hundreds or even thousands of bushels that they were selling for pennies to the applesauce companies, or in some cases, just not even picking them.” It was too expensive to pay for the labor. Bunker had a hunch that reviving hard cider might be the answer not just to reinvigorate the orcharding sector, but to attract more people to farming and make it profitable at the same time. But Bunker’s primary interest was in the apples themselves, not alcohol, and as he began to explore around Palermo, moving farther and farther afield following rumors and remembrances, he continued to uncover and resuscitate lost varieties. His book, Not Far From the Tree: A Brief History of the Apples and Orchards of Palermo, Maine 1804–2004 includes vignettes about these rediscoveries, which have happened in all sixteen counties of Maine. In 1984, Bunker started the tree division of Fedco Seeds, where he still works today. At his own farm in Palermo, he grows over two hun-dred varieties of apples and he’s now sharing these fruits with a wider audience through the new heritage orchard at the Maine Organic Farmers and Gardeners Association’s Common Ground Fair grounds in Unity. (Bunker is a past president of MOFGA.) There, a band of volun-teers is slowly planting six hundred apple va-rieties (and likely more in time) that were once grown in Maine. The site is a former gravel pit, restored and transformed into a meeting place for public education and outreach, not just for apples, but a variety of tree fruits. One of the first people to bring back hard cider production in 20th century Maine was Tom Hoey of Brooksville. Hoey began home-produc-ing cider in 1983 and commercial production in 1991. Under his Sow’s Ear Winery label, Hoey not only crafts hard cider, but wines from a variety of local berries, including blueberries, choke cherries, cranberries and grapes. His massive hand-powered press evokes the days when orchards were common in the region. 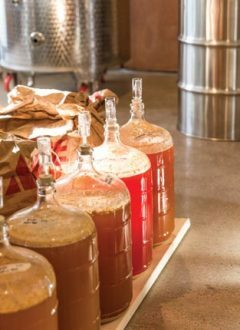 Hoey has refined techniques like the French méthode champenoise for making exquisite, carbon-ated off-dry hard cider. The dégorgement—removing sediment from the bottle—is still done by hand. He describes his sparkling cider as having a “crisp, tart, natural style” that comes from the wild yeast picked up in the fermentation; no sugars or sulfites are added. The 60-gallon oak barrels aging in the huge split stone cellar of Hoey’s 1870 house connect his present-day offering with almost-lost traditions. And that is at the heart of the cider quest: combining old knowledge with new discoveries, or as the case may be, rediscoveries. Noah Fralich started Norumbega Cidery in New Gloucester using local apples, as well as traditional English, French and American varieties, to make a range of hard cider styles. He tends to use the traditional varieties for bitterness or tannins that contribute complexity and depth to the cider produced by more acidic, local apple varieties. Fralich says, “For me, planting older, rarer, more cider-specific varieties is an opportunity to explore the past and reestablish an old American tradition.” It also provides an opportunity to work with local ingredients that he understands intimately. “My approach to cidermaking is simplicity of ingredients,” Fralich says. “The higher the quality of the fruit and wider breadth of varieties, the less one has to compensate with additives.” While there’s always room for experimentation, Fralich adds that his main focus is on the apples, that he thinks of his cider as an agricultural product as much as a beverage. Getting what Fralich calls “interesting” apples into the mix is the challenge for enterprising cider-makers as they work with what’s locally available while waiting for their own young trees to mature and produce. Fralich started in 2011 by clearing forest on his family’s property and planting cider apples by the hundreds. In 2013 he built and inau-gurated a new ciderhouse, and started selling and distributing his cider throughout the state. “We’re only just beginning to explore cider in this country,” says David Buchanan of Portersfield Cider, which he refers to as a farm-based conservation center. “There’s a big gap between commercial production using only dessert apples and the flavors we find in small quantities from old and abandoned trees.” Buchanan’s orchard in Pownal is comprised of hundreds of heirloom apples painstakingly collected, researched, and propagated over years, planted alongside a wide variety of elderberries, aronia, and other fruits. Buchanan tries out apples from all over that might give his cider a new twist. To see how things grow under his farm’s conditions, he’ll trial varieties with different rootstocks placed in areas of deeper soil or more moisture. He is attuned to the need to simultaneously experiment with heritage fruits and give them new life and relevance. “There’s usually little to no available information about American heirloom cider apples,” Buchanan says. “I’ve spent seven years building a collection and learning about the trees, but cider season only comes around once a year. Instant gratification this is not.” But soon, there will be the gratification that comes with sharing and conversing over the beverage: Buchanan plans to open Portersfield Cider’s new tasting facility out of a post-and-beam barn within the year. “Some people are upset about the Angry Orchards and Woodchucks,” says Bunker, citing two of the biggest brands in commercial cider. “But I don’t believe there would have ever been a craft beer revival if it weren’t for Budweiser and Coors and the other big beer makers. They drove an interest in beer in the U.S. Sooner or later it was going to happen, someone was going to finally say: you know what, I’m going to do something a little bit different, a little more complex.” Bunker acknowledges there has been a contiguous cider movement, small pockets of people (his mentors among them) keeping traditions, knowledge, and trees alive, but those makers just weren’t recognized by a broad public. Cider dropped out of consumer consciousness for most of the 20th century. Craft beer modeled a path for its return. Today, awareness seems to be pushing toward a tipping point: as hard cider takes up more space on shelves, as more tap handles from the likes of Angry Orchard and Woodchuck appear in pubs, the more consumers are likely to seek out ciders of all kinds. In 2014 alone, Angry Orchard, the king of commercial hard cider, sold 14.5 million cases. (Angry Orchard is owned by Boston Beer Co., the makers of Samuel Adams.) 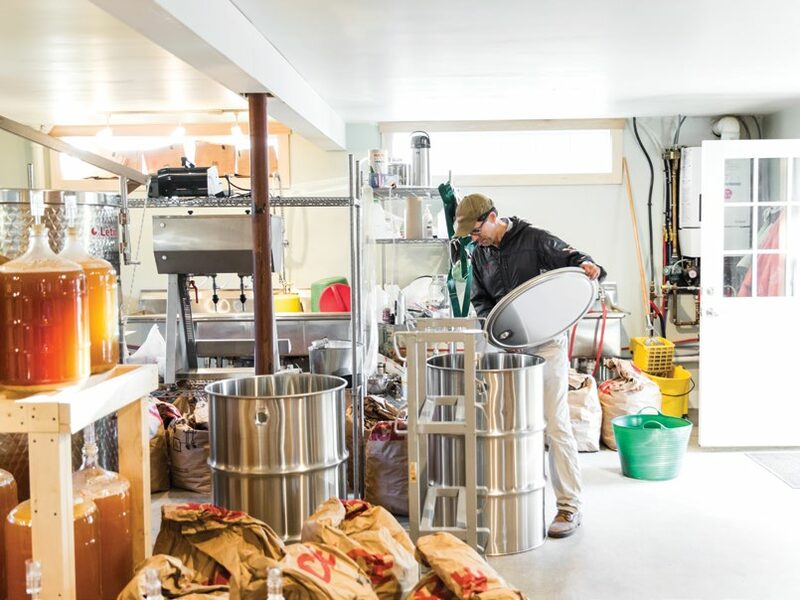 While Maineʼs artisanal cider houses make a small-batch product that hews to traditional standards of craft and taste, they are also experi-encing dramatic growth. Across the state, cider is showing up on shelves and menus where a year ago it would not have had a place. And small producers are opening tasting rooms, inviting people in not just to taste cider, but to partake in the tradition of social drinking while learning more about local farming. Hard cider is no longer an underground movement. It’s come out of the cellar and into a spotlight that lights up vibrant rural traditions, agricultural diversity, and new opportunities for farmers to connect with the land—and consumers. And that means it’s time to drink up. (Wine Shop) and Drifters Wife (Wine Bar) in Portland.